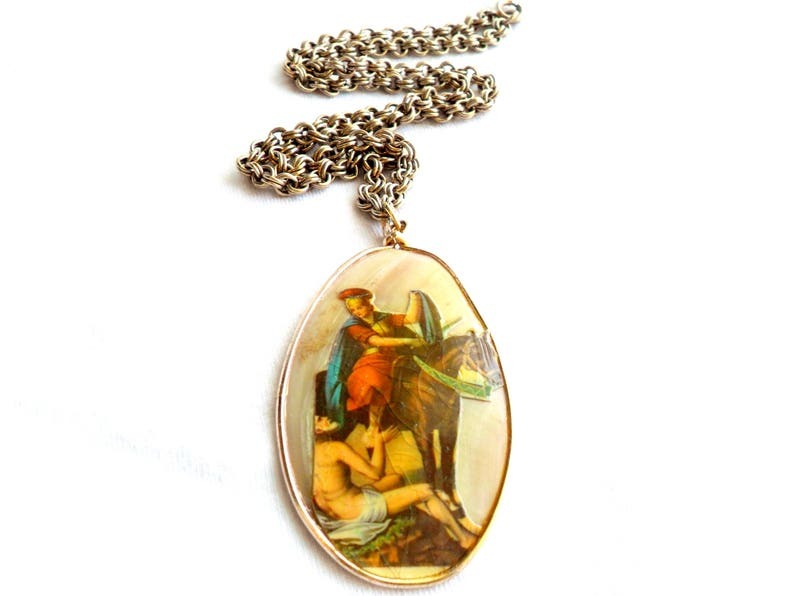 Unusual handcrafted vintage necklace featuring a decoupage pendant with paper religious figure cut outs on a mother of pearl shell. Pendant is attached to a silver tone chain. There are some chips in the clear coat over the paper figures. Chain measures 20 inches in length. Pendant measures 2 3/4 inches tall, 1 1/4 inches wide.